WetFire™ tinder was born from the need for a universal lighting material that was safe, easy-to-carry, and unaffected by wind or water. You might not be like the elite military troops for whom it was designed, but you can be prepared like them. If you are into the outdoors and find yourself hiking, camping, or backpacking, you never know where you might end up and in what kind of weather. You need something that will light a fire in a rainstorm if needed, but even better are the bonuses of it being non–toxic and extinguishing instantly. 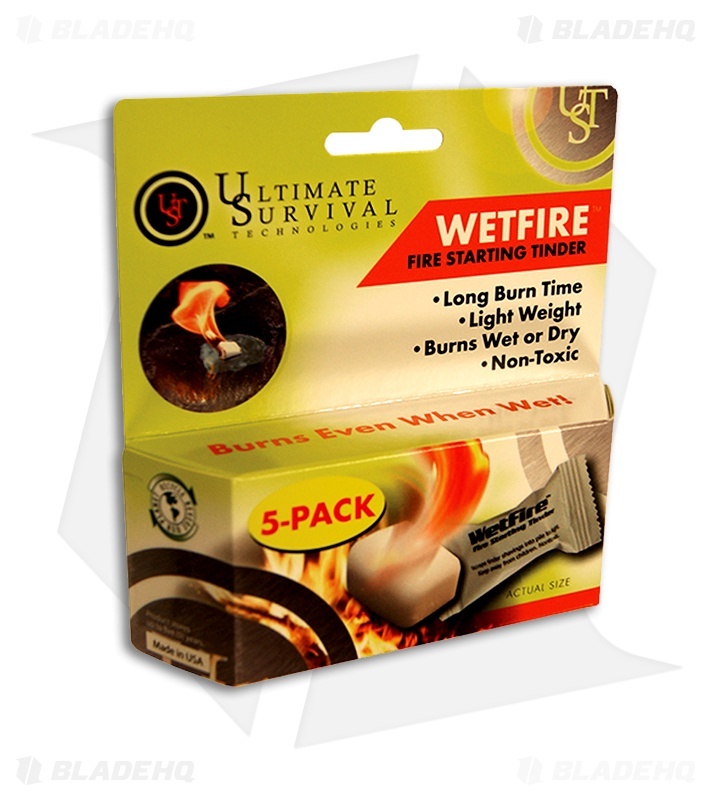 Ultimate Survival Technologies’ WetFire™ tinder is hands down the best fire-starting tinder material available anywhere in the world. It is individually packaged in a lightweight solid cube form that can't leak or foul up your other gear. 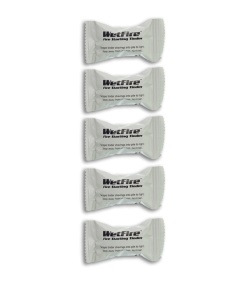 It leaves none of the residue of other petroleum-based products and is non-toxic and has virtually no odor. The tinder cubes burn with almost no smoke and can be started even in high winds and nasty weather. In fact, the tinder burns while floating in water, and burns longer when wet. 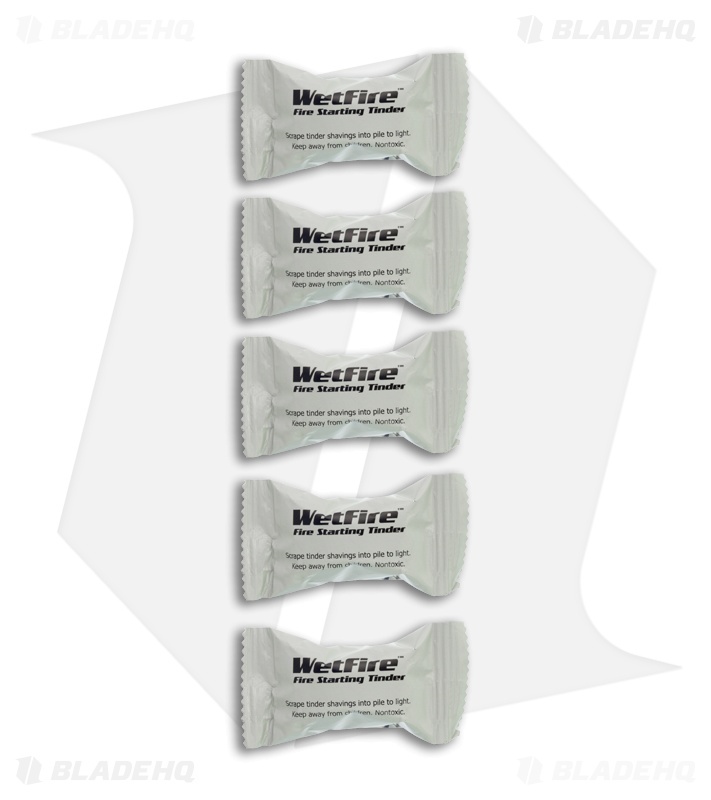 WetFire™ tinder burns at over 1300 degrees yet cools almost instantly when you snuff it out. A small pile of shavings is enough to start a campfire, warm your hands, or pre-heat a backpacking stove. You will always want to have some of these cubes available when you go outdoors. While WetFire™ was developed for military personnel, but now you can benefit from this amazing fire starting tinder. For decades, mountain climbing meant struggling with gooey fire starting gels trying to light your stove at high altitude. Not only messy, these gels are hard to use. 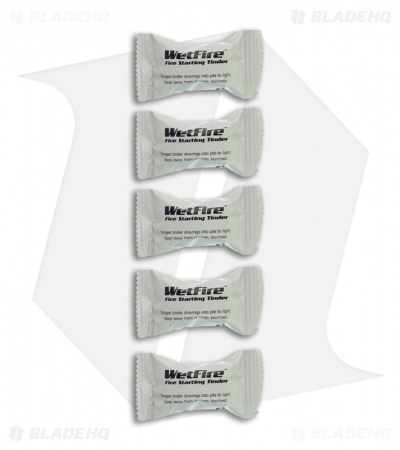 At high altitude you have enough to worry about without wasting energy trying to light an uncooperative stove. With WetFire™ tinder, you won’t ever have this problem again. Just sprinkle a small amount of tinder shavings around the backpacker stove, and it lights instantly. 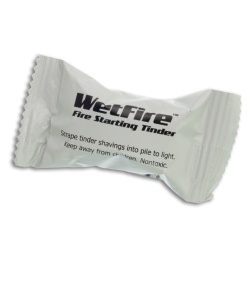 Even if you're not in the military, and don't plan to climb Everest, WetFire™ tinder will help you start any fire. Use it to light your backyard barbecue, or to start a fire in your living room fireplace. Be the envy of your friends when only you can start the late night beach bonfire.